Tioman Island is one of the most famous islands in Malaysia that is known for its good water sport such as scuba diving, island diving & deep water diving. Located in Pahang or mostly referred to as by tourist the East side it has a wide range of activities to offer. 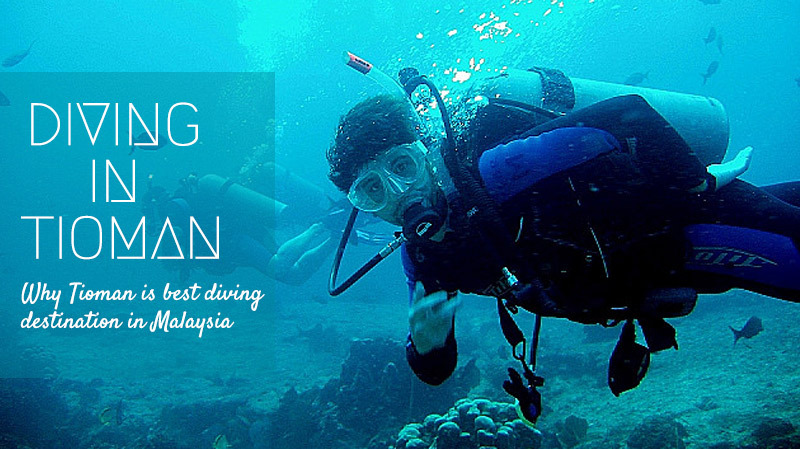 Diving in Tioman is certainly one of the activity tourists look forward to. Tioman Island is beautiful in each and every way. There are water resorts and scuba diving centers located in almost all parts of the island that guide and even take you deep in the water to experience nature close at hand. Mostly people take ferry rides from Mersing to get to Tioman Island since, that the leisure activity gives tourists to take all the island has to offer slowly and capture a lot of pictures while you are at it. One of the best things related to Tioman Island is affordable water diving license. It costs to only about RM 1000 (Ringgits) and you can obtain a diving license which gives you an unlimited pass to dive in the waters of Tioman Island in various diving locations and experience the good marine life. Another great water activity that can be of full advantage and fun for the tourists who love water is snorkeling off the beach. Monkey beach and Paya beach offer nice coral reefs that one can snorkel in. The snorkeling trips in Tioman have proven to be the best in the whole of Malaysia since, the coral reefs add to the water life and is best along the shallow coast. Tioman Island having both is a heaven for those who love to snorkel along the beach. Pulau Tioman is best known for its water sport and activities such as scuba diving and deep water diving. The dive schools offer a wide range of services to enhance your diving experience and make it the best possible. There is also snorkeling available in some diving centers that make you experience the water life up more closely. DiveAsia is located in Salang village which is one of the best diving schools in all of Tioman Island. It has one of the best and skilled divers that offer you diving help and include boat services that are of top notch. Since, Salang is the best for diving in Tioman it is a must to give DiveAsia a try and experience world class scuba diving. Tioman Dive Centre is another diving site that you can try. Deep blue clear water and white coral reefs that have plenty of life for you to explore, Tioman Dive Center is splendid for those who are willing to dive at different sites and experience water from each side of the island. The dive center offers more than 20 places for you to take a dive and go down below in the water to see life for yourself. They will also take you to the nearby islands in Tioman which also offers a good diving experience. Eco Divers is located in the area Air Batang which might not have much services or opportunities to offer that enhance your diving experience but give you a taste of Tioman, nonetheless. This is not recommended for amateur divers since, the staff at hand though skilled is not enough to pay individual attention to all. B&J Dive center that is located at Salang village is also very best at providing quality services and make the scuba diving experience in Tioman Island worth the money. The dive center offers deep diving and can make the expedition of exploring underwater life even more interesting since, they have nitrox and trimix that are surely bound to help in the adventure to come. Tioman Cabana Sport is a professional but local run sport center in Pulau Tioman that offers you a wide range of activities and surprisingly is cheaper than the rest in the list. The place offers local divers who know the best spots and locations for scuba diving in Tioman Island and take you deep in your under water journey where you can explore new things and look at all the marine life more closely than ever. The local population has been around the island and probably knows each thing about it in a better way, so what could be more excellent than to explore the islands and go deep in water when a local person is there to guide you? These are some of the reasons why Tioman Island is one of the best diving destinations in Malaysia. You can also book one of Tioman Diving Package that will include diving & accommodation. If you have experienced diving in Tioman Island, Let us know your experience by adding comments below. We hope this helps and have a nice trip.